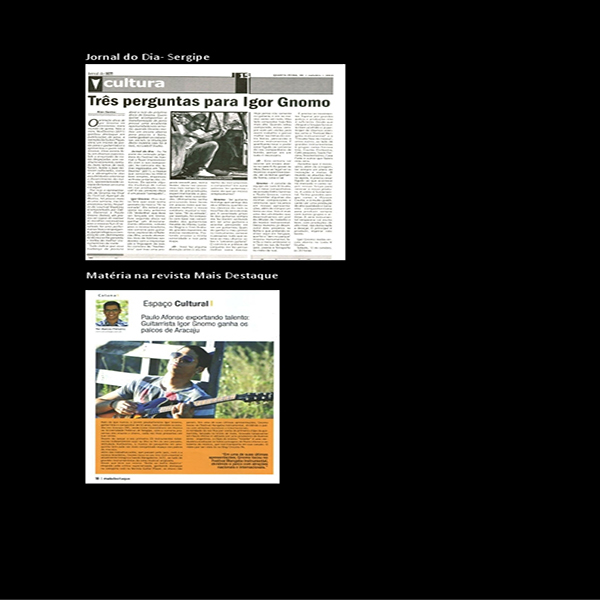 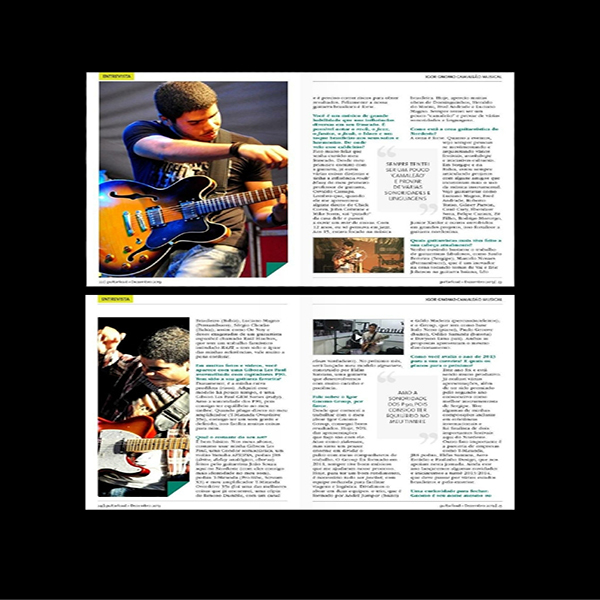 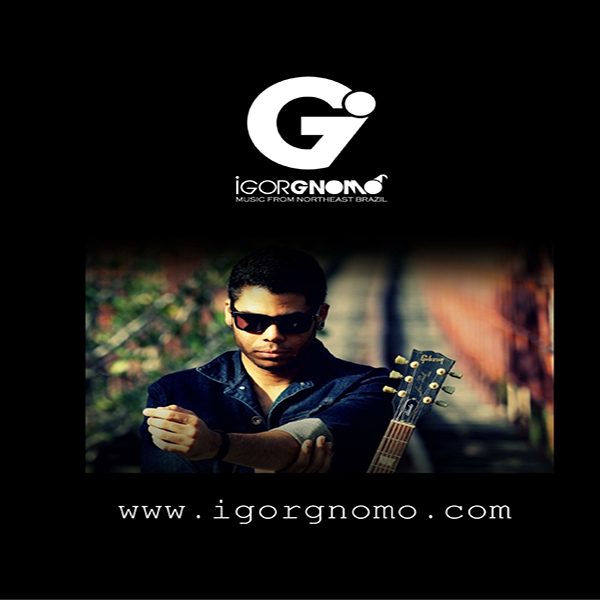 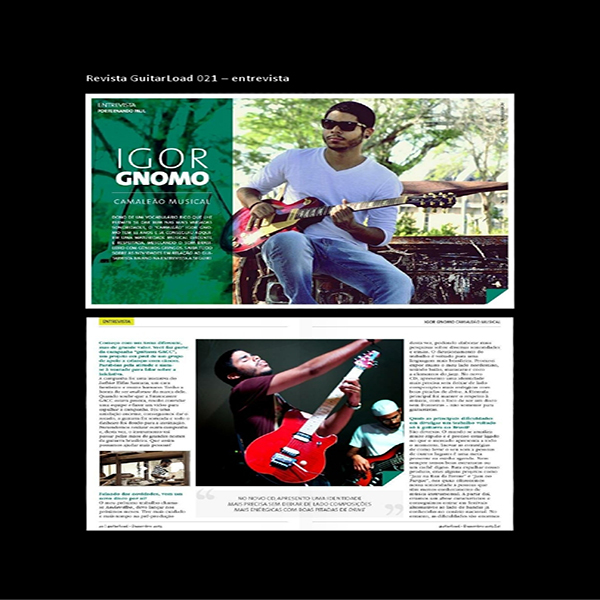 ​Igor Gnomo, a Brazilian musician, began studying music at the age of 12. 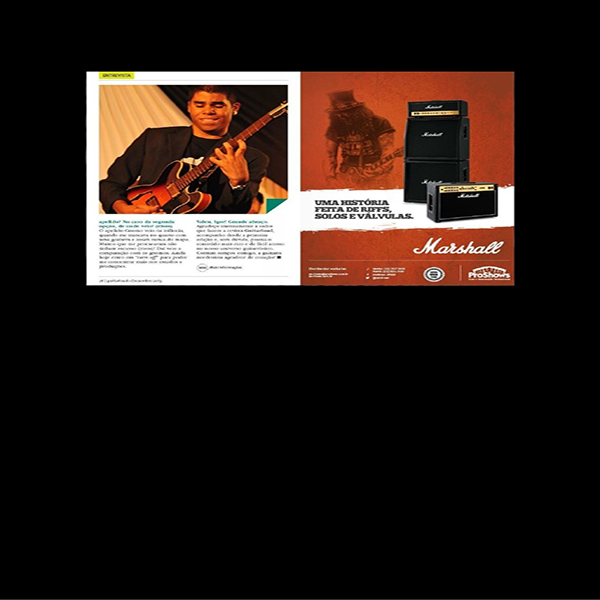 As a teenager, he furthered his studies in guitar and music degree, influenced by the music of Mike Stern, Jeff Beck, Greg Howe, Frank Gambale and John Scofield. 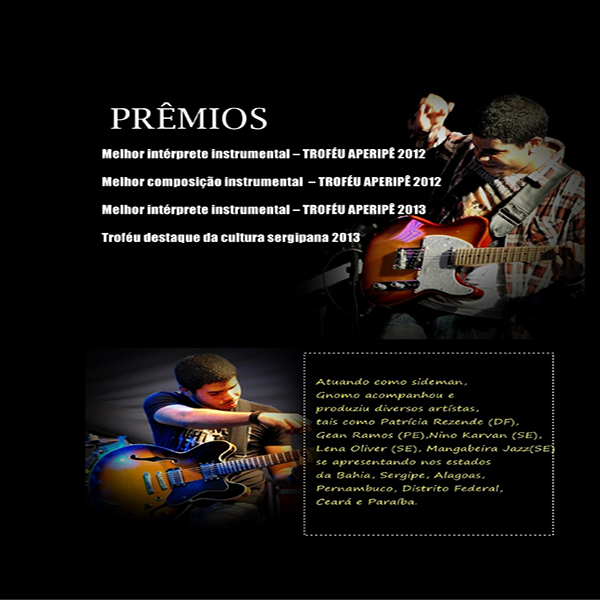 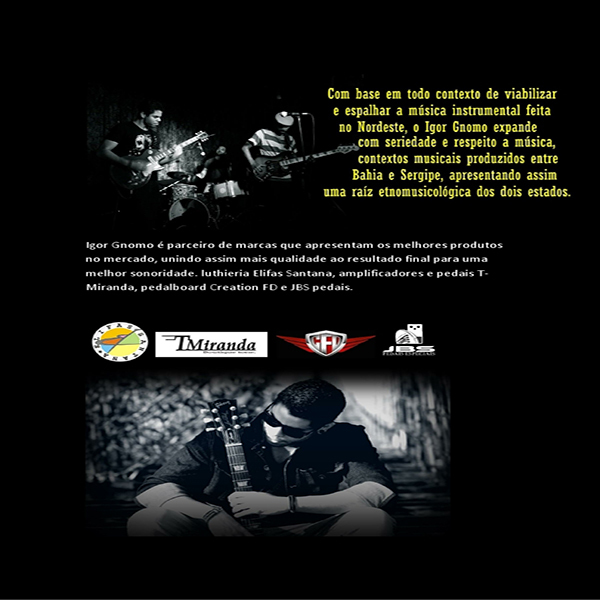 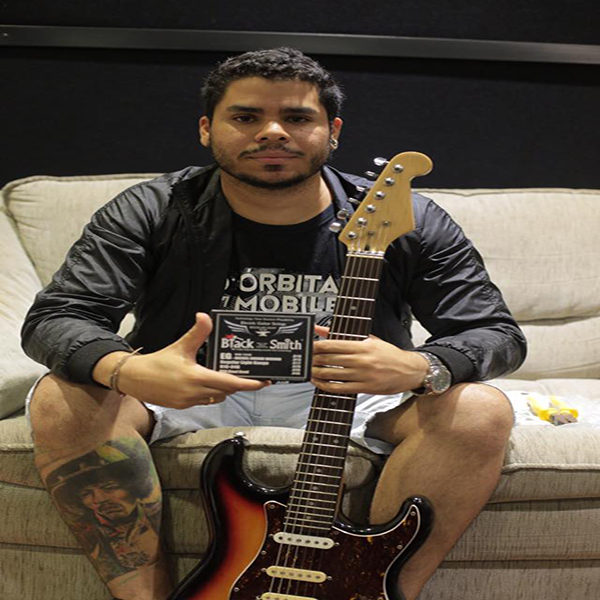 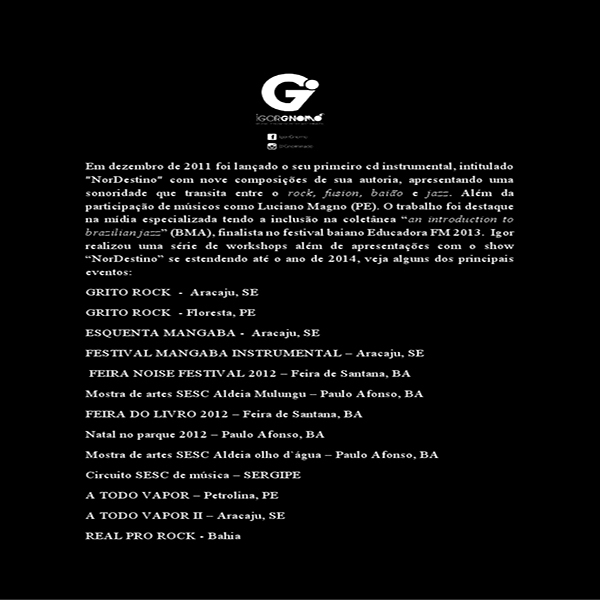 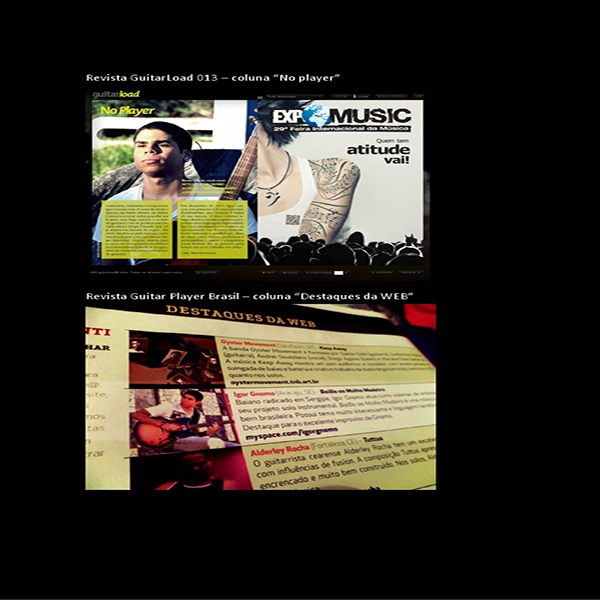 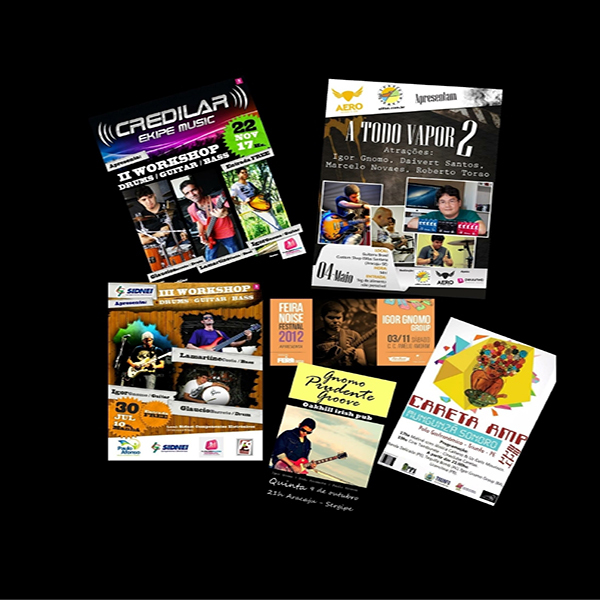 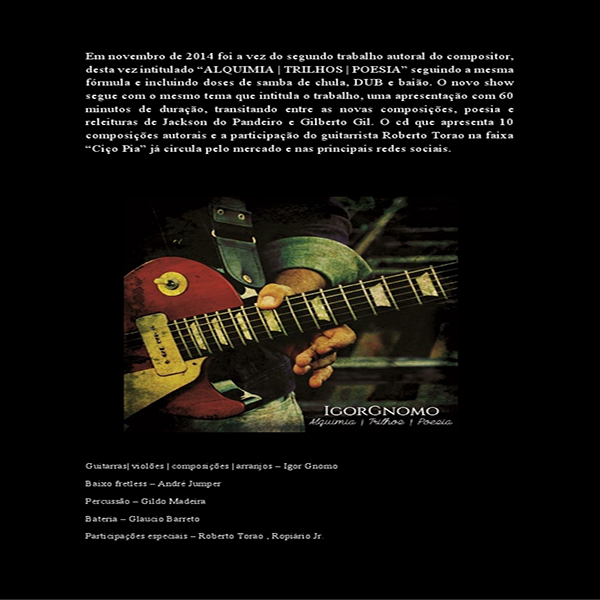 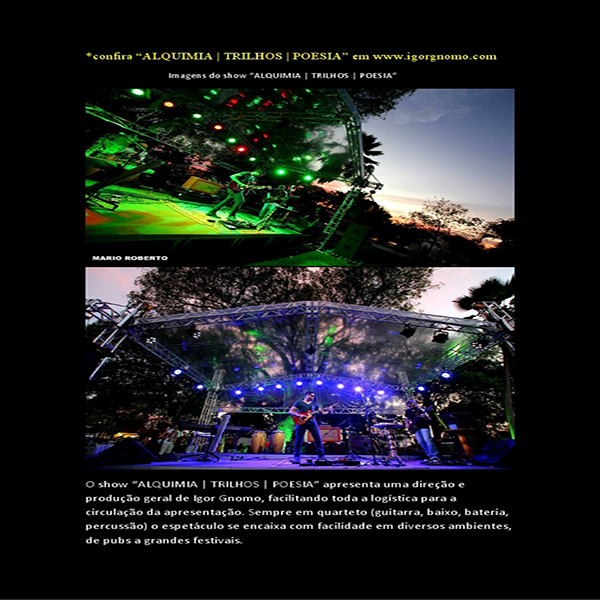 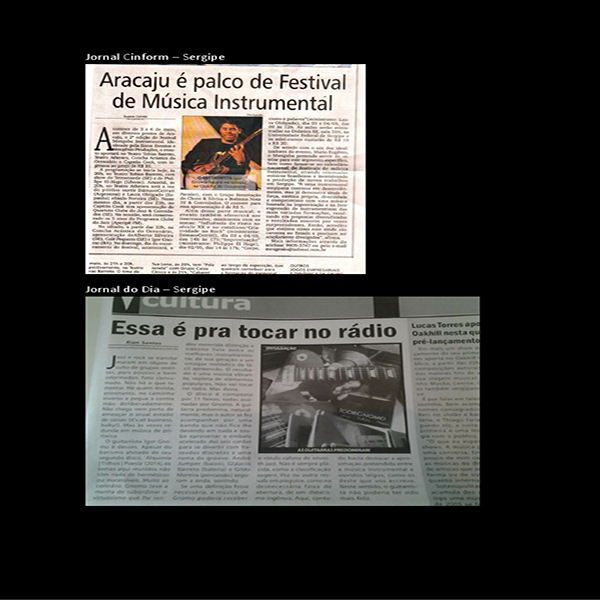 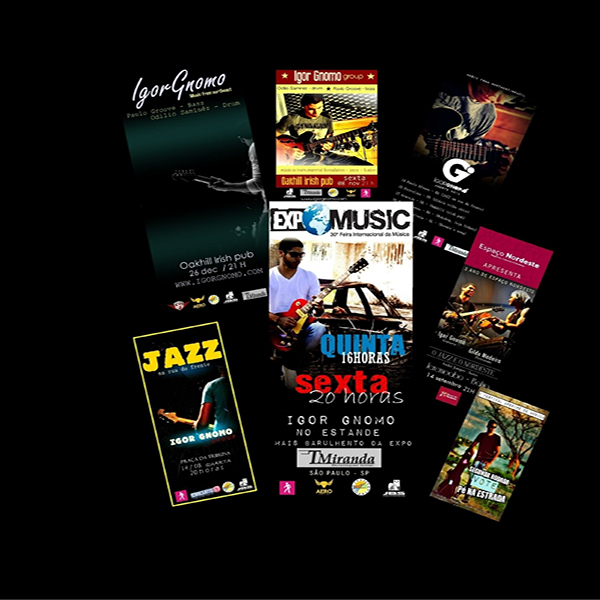 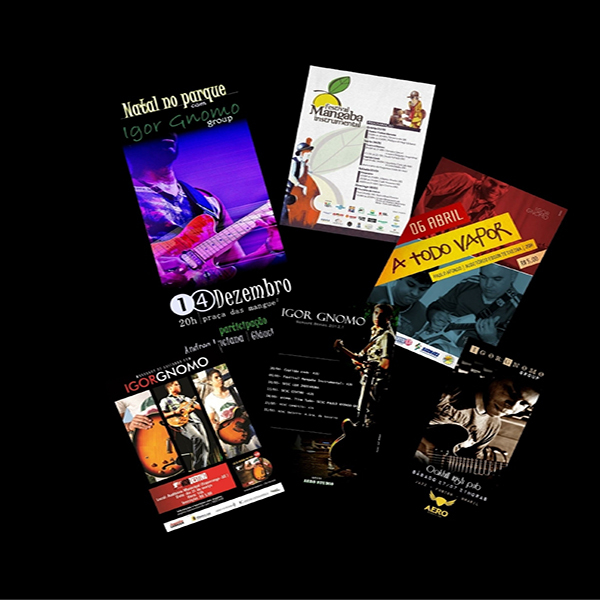 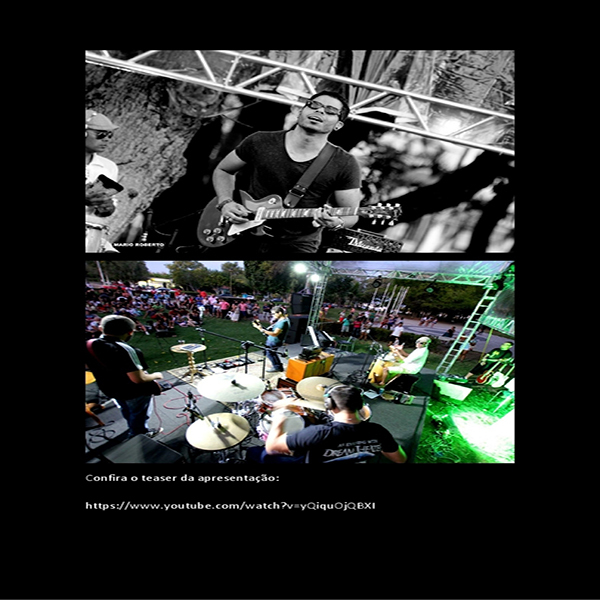 As sideman participous of several musical projects in the Brazilian northeast accompanying artists playing jazz, blues, Brazilian music and rock. 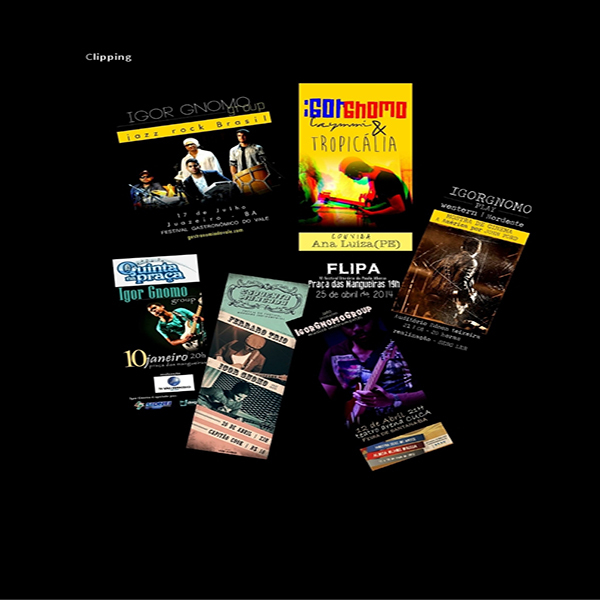 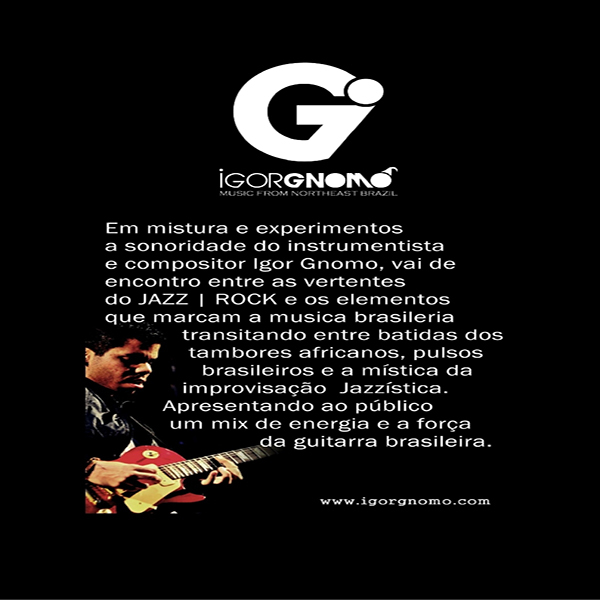 Igor presents a sonority with influences of jazz mixing with elements of Brazilian music, having as reference Latin rhythms and Brazilian matrix (maracatu, samba, baião). 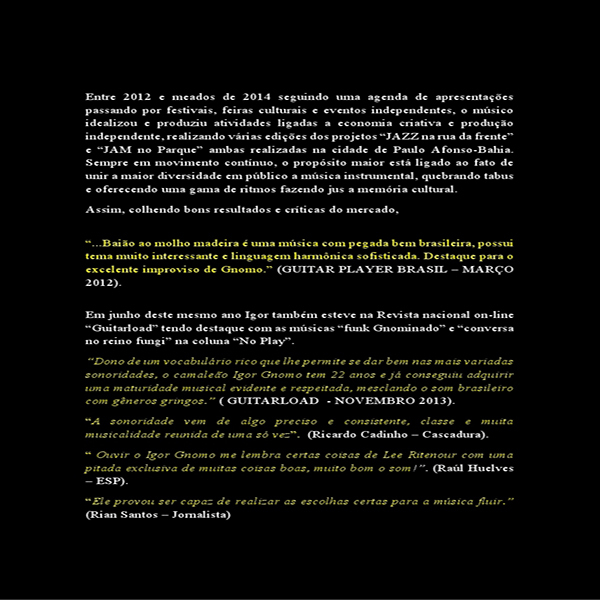 In 2011 he released his first CD titled NorDestino and in 2015 the second one called ALQUIMIA - TRILHOS - POESIA. 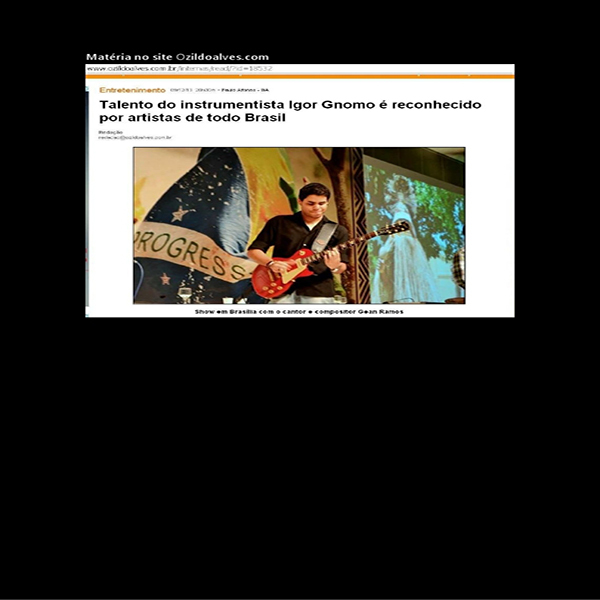 In presentations by his country already divided the stage with musicians like Armandinho Macêdo, Stanley Jordan, Luciano Magno and others. 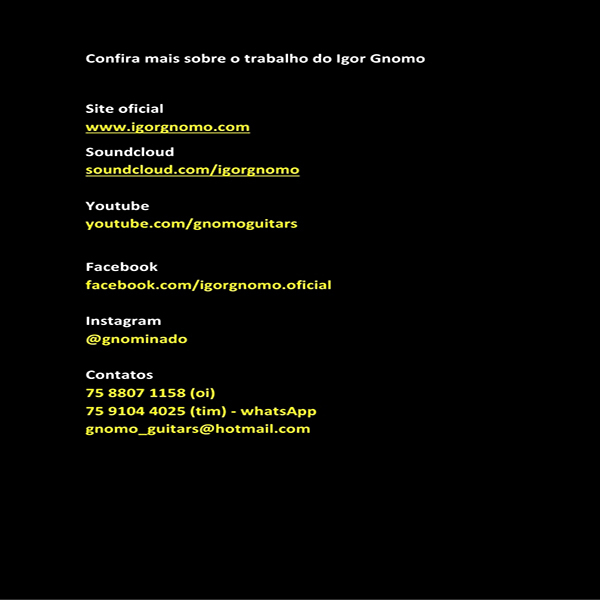 Currently Igor Gnomo performs with his trio playing his compositions and using on his guitars Blacksmith strings.